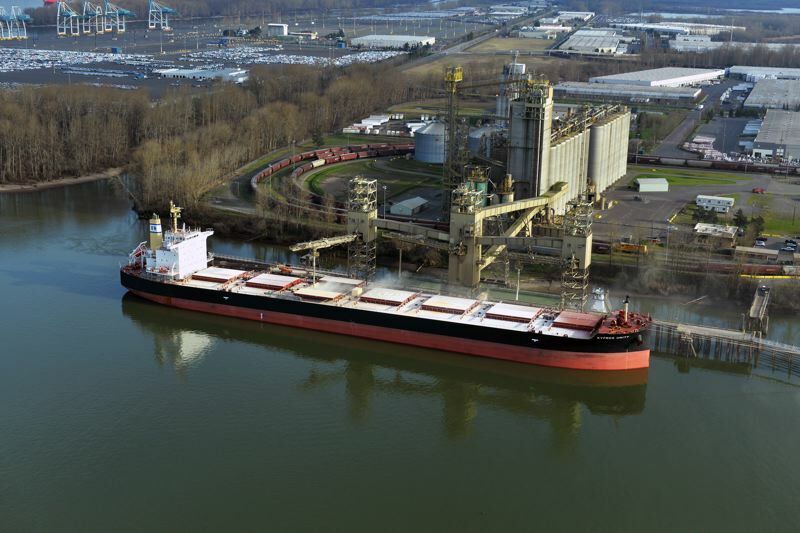 Support for international trade slipped in Oregon while the major candidates for president criticized the Trans-Pacific Partnership agreement that Congress could consider later this year. 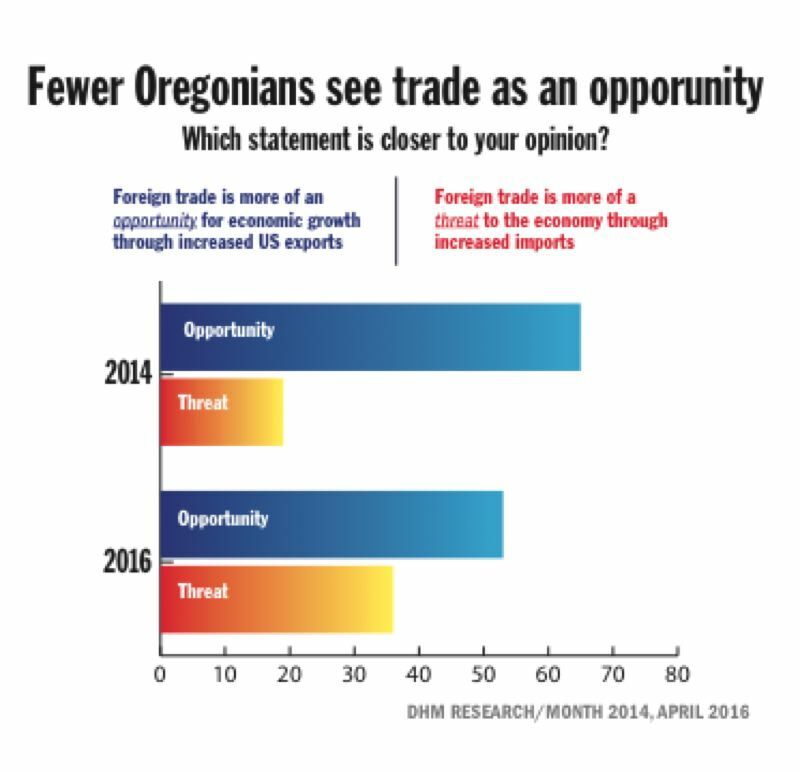 According to two polls conducted by DHM Research, the percentage of Oregonians who believe foreign trade is more of an opportunity for economic growth dropped from 65 percent in March 2014 to 53 percent in April 2016. 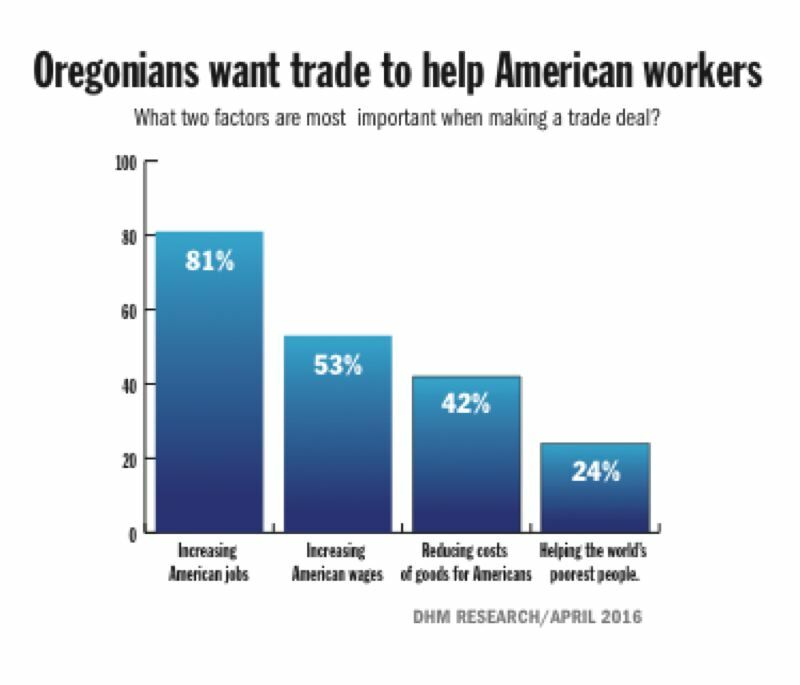 During that time, the percentage of Oregonians who believe trade is more of a threat to the economy increased from 19 percent to 36 percent. Our polling data reveal that Oregonians are less certain that international trade is a good deal for our state and our country in 2016 than they were two years prior, says DHM Research founding partner Adam Davis. The drop in support followed repeated attacks on international trade treaties by Republican presidential candidate Donald Trump and Democratic presidential candidates Bernie Sanders and Hillary Clinton. All three candidates came out against the TPP, even though Clinton had previously called it the gold standard of such treaties. Doug Badger, executive director of the Pacific Northwest International Trade Association, deplores the criticisms. Although Trump, Sanders and  to a lesser extent  Clinton have all claimed such treaties have reduced the number of American jobs, Badger says the opposite is true, especially in Oregon. Trade is creating jobs in the country and the region, which is especially dependent on trade. And they are good-paying jobs, says Badger, whose organization is aligned with the Portland Business Alliance and is pushing for approval of the TPP. Badger notes that support for international trade is still above 50 percent in Oregon, which he says is a good thing. But he worries the criticisms by the presidential candidates will make it harder to win approval of the TPP and future trade agreements. The politicians are saying one thing but the economy is saying another when it comes to trade, he says. Davis agrees theres little public understanding of the benefits of trade. Like we see in our research about public understanding of the basics of governance and public finance, theres a great deal of ignorance about international trade. And the Trans-Pacific Partnership agreement? You got to be kidding; theres next to no facts-based understanding of what it is and how it affects Oregons economy  positively or negatively, Davis says. TPP opponent Michael Shannon of the Oregon Fair Trade Campaign argues that just the opposite is true. The public isnt responding to the politicians, the politicians are responding to the public, Shannon says. People are tired of stagnant wages and increasing inequality, and previous trade deals have shipped good paying jobs with benefits overseas, says Shannon, whose organization includes labor, environmental and social justice organizations. Shannon and other opponents point to a recent study by the United States International Trade Commission that says some manufacturing jobs would be lost because of the TPP, although other sectors of the economy, like agriculture, would benefit. Davis confirms his companys polls are finding deep public dissatisfaction with the economy. Nearly half of Oregonians believe that America has gotten the short end of the stick, perhaps in a nod of agreement with Trump and Sanders about the exportation of manufacturing and other blue-collar jobs that once served as the backbone of our economy. Many of these same people are not considering, because theyre not aware, the benefits of international trade such as lower prices and the availability of a wider range of goods and services, he says. A 2013 study by the Value of Jobs Coalition found that $20 billion worth of Oregon goods and services were exported in 2012. There were 490,000 jobs tied directly or indirectly to international trade that year, up 20,000 from 2010. And the amount of Oregons trade-related employment grew 7.5 times faster than total employment between 2004 and 2011, said the study, which was supported by such business groups as the Portland Business Alliance and the Port of Portland. The TPP is an agreement between the United States, Canada, Japan, Australia, Brunei, Chile, Malaysia, Mexico, New Zealand, Peru, Singapore and Vietnam. According to Badger, seven of Oregons top 11 export markets were on this list in 2015, and they accounted for nearly half of all of Oregons export value that year. The export of Oregon goods and services will only increase if we can reform the rules and reduce the tariffs with our major trading partners, Badger says. Shannon counters that the biggest companies, such as Nike, benefit most from such deals, not average workers. Because of the political climate, some observers believe President Obama will ask the lame-duck session of Congress to approve the TPP after the November general election.